The following article appeared last month in the Northeast Sustainable Agriculture Working Group (NESAWG) newsletter. NESAWG is a 12-state network of over 500 participating organizations. Together, they unite farm and food system practitioners and allies to build a sustainable, just and economically vibrant region. From one network to another, the article profiles Food Solutions New England (FSNE), a network building effort now going into its third year of intentional development. It captures where FSNE was just prior to the New England Food Summit, which advanced connectivity and commitment to both regional action/identity and work for racial equity. NOTE: I have added links, bolded text, and pictures to the body of the article. What will you be doing in 2060? Food Solutions New England, a regional food systems learning and action network, has a vision of where citizens of these six states will be sourcing their food 50 years from now. 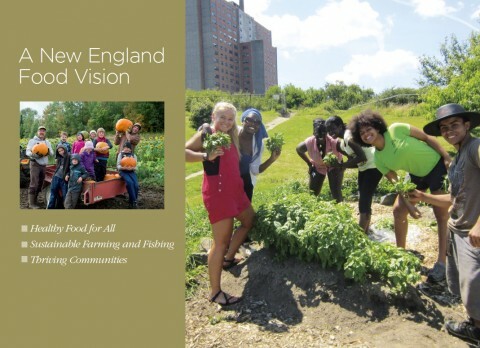 Its New England Food Vision posits that the region will produce at least 50% of its food in a healthful, accessible and environmentally and socially sustainable way by 2060. Working toward this bold vision requires expansive, inclusive collaboration that addresses the diversity of needs and resources across the region and balances bold aspirations with practical actions. 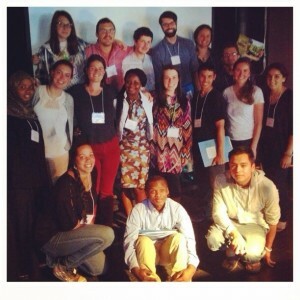 Food Solutions New England (FSNE) has much to share about how to develop and support productive networks. 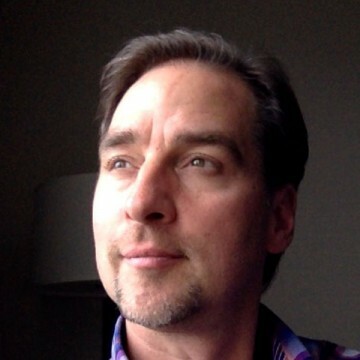 Curtis Ogden, consultant to FSNE’s Core and Network Teams and Senior Associate at the Interaction Institute for Social Change, shares some of the Team’s practices for network building. Create a common, galvanizing vision. To advance a sustainable New England food system, FSNE works on multiple fronts evolving the 2060 vision, convening annual New England food summits, supporting New England state food planning initiatives; and conducting related analysis and communications activity. And all of these activities spring from one big idea. “[We] began with what we call a Network Design Team,” says Ogden. Two years ago, a Network Design Process was convened under the auspices of the University of New Hampshire’s Sustainability Institute with financial support from the Kendall Foundation. This process pulled together a group of stakeholders from across the region representing rural, urban and suburban areas and various functional perspectives on food—production, public health, access, as well as different cultural perspectives. The goal: to conceptualize and realize the development of a network that would help lead the region towards a 2060 vision that had already been evolving out of New England regional food summits for the past few years. Recognize past work and successes. Food and farm-related collaborations, working groups and networks of various types have existed in New England for decades, from NOFA to NESAWG. To ensure engagement of those already working together in innovative ways, one of the organizers’ priorities was to recognize the existing relationships and honor the work that had already begun. “There was no starting from zero,” said Ogden. “‘We are not pretending to create a network out of thin air. There’s lots of good work and progress that have already happened and is happening.” The organizers recognized that the network, in a sense, already existed. The work was in part to connect some these initiatives and actors across the region and build upon their work to strengthen the whole. Recognize differences in approaches and welcome them. Understand the diversity of interests and issues. Bring central, uncomfortable issues to the fore. Getting to 50% regional food in the next five decades demands both urgency and patience. It’s a lifetime of work that will take perseverance to accomplish. FSNE is co-developing strategies for achieving the vision with the larger food systems community across the region as one of its next steps. and values. 5 million meals The Shepherd’s Table has been welcoming and serving those in need in higher eduication student debtors and adjuncts.